Best value in Point Loma...3 bdrm/2.5 bath end unit town home with direct entry 2 car garage, featuring updated kitchen with Quartz counters, LED lights, dining area, hardwood floors, fireplace, textured ceilings and laundry in garage. Spacious master suite with vaulted ceilings, remodeled bath & walk in closet. Complex great for riding bikes, playing catch, walking dogs & running around. Resort style pool area with 3 pools, including lap pool,basketball court, spa, clubhouse. Great schools and location! SchoolsClick map icons below to view information for schools near 2365 Caminito Afuera San Diego, CA 92107. Home for sale at 2365 Caminito Afuera San Diego, CA 92107. Description: The property at 2365 Caminito Afuera San Diego, CA 92107 in the Point Loma subdivision with the MLS# 190006925 is currently listed for $640,000 and has been on the market for 79 days. 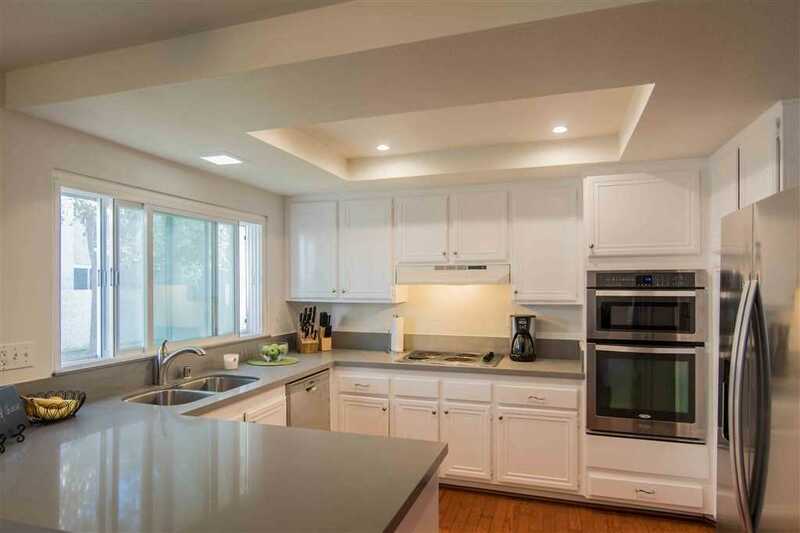 You are viewing the Sandicor listing details of the home for sale at 2365 Caminito Afuera San Diego, CA 92107, which features 3 bedrooms and 3 bathrooms, and 1547 sq.ft. of living area. Listing information last updated on 4/25/2019 7:45 PM.